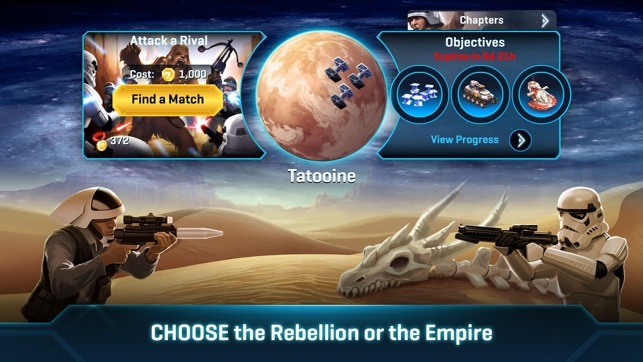 Disney Interactive’s vibrant strategy game has you choose a side—the heroic Rebel Alliance or ruthless Galactic Empire—and build a base worthy of that faction. 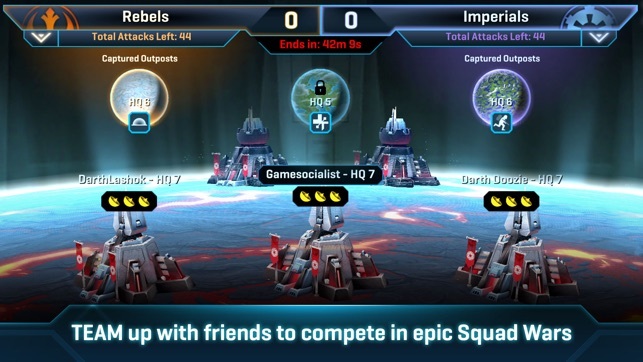 Both parties offer special units and powers to help you tackle each mission, and whether you send Chewbacca on a rampage or deploy a deadly strike with TIE fighters, victory requires thoughtful tactics and watchful troop management. As you garner experience and fortify your defenses, you can join squads with your friends, invade players’ bases, and embark on a stirring campaign that leads you across the unforgettable Star Wars universe. This used to be my favorite mobile app game. 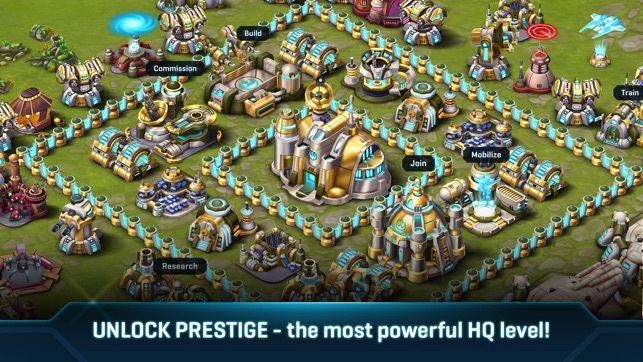 Now that my base hit level 9 almost all of the building upgrades are so outrageously expensive (1 million for level 8 but 3 million for level 9; a massive leap compared to previous price increases) that I can't save up for stuff like turrets anymore because of how much I lose when I'm attacked. The only ways I can get the necessary resources are to spend way to much of the day attacking and staying logged in or to just waste real money on massive amounts of crystals. Furthermore, the game still works pretty well on my iPhone 5S, but each upgrade whether it lists "bug fixes" or not makes it run WORSE on my 5th generation iPod Touch! Both still get the bug of frozen training queues in barracks. Sometimes attacking and freeing troop carrier space fixes it, but other times I have to spend gems yet again just to get them training again! 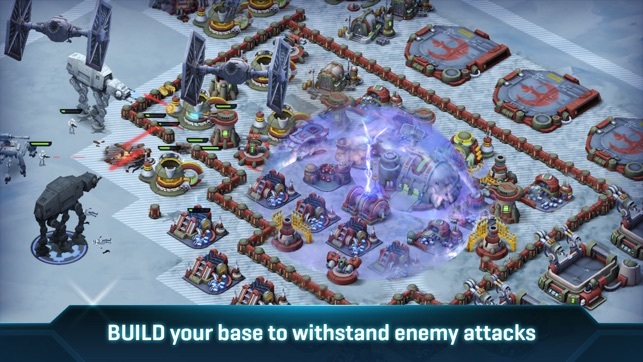 Furthermore, the new war system is a lot of fun, but we need a way to remove troops from the defensive Squad Center when someone gives us something we don't want. The regular SC can just be emptied by doing an attack, but I have found no way to empty the defensive version. Lastly, this game has an option to automatically add players to squads when the number of members drops below 30. This option hasn't worked in over a month, and my squad is dying because we can't get new members automatically or recruit new members through social media. Thanks for your feedback. It’s great hearing what players would like to see added or changed to Star Wars: Commander. We’ll keep working to improve and expand. My brother and I have been playing the game for about two years now. Over those two years we have watched the introduction of (now) well integrated game features like heroic defenses and the armory. 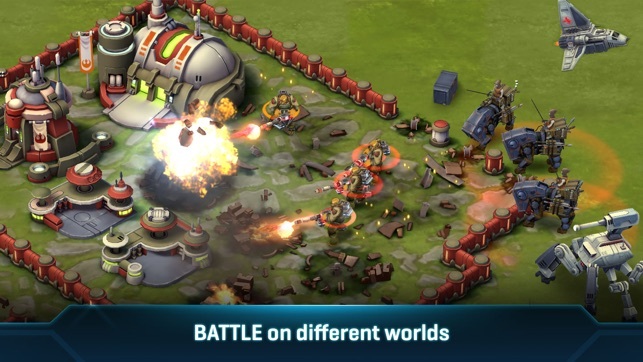 From time to time I’ve found new updates to equipment or defenses can throw off the balance of play between rebel & empire - for example, I can remember a time when a small group of rebels with a hero and medic droids could take down my fully equipped base with ease. These periods can be frustrating but after time are eventually remedied. In the end, I appreciate the developers’ efforts to renew gameplay and strategy through consistent updates. I’ve read of complaints regarding the length of time it takes to upgrade to higher levels. Of course I wouldn’t mind shorter upgrade times, but I don’t find them a huge impediment to gameplay (nor is the upwards trend in upgrade time aberrant from other games of the same nature - i.e clash of clans). The newest feature of the game, the weekly events, makes unlocking characters/equipment easier and more efficient than was ever possible with world conflicts. Hopefully developers will keep these events beyond their celebrations of The Last Jedi release.